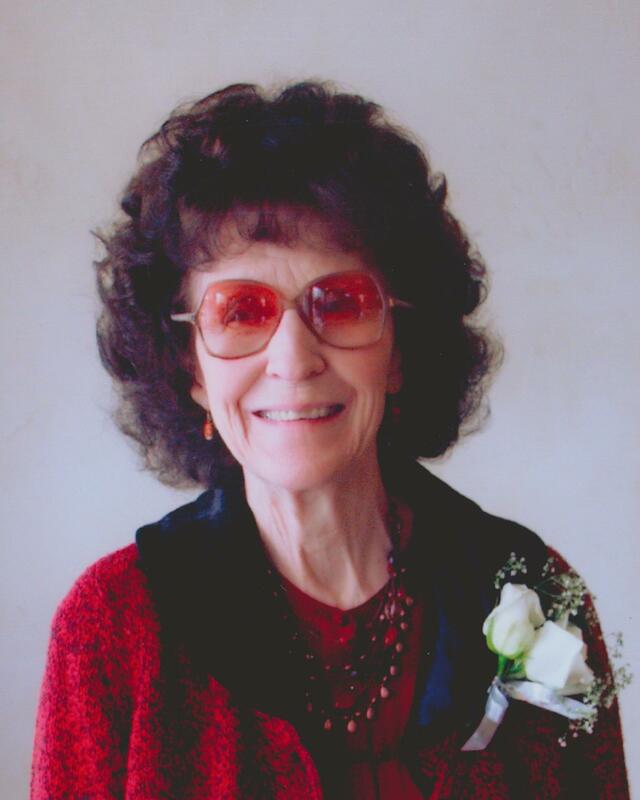 This week we said good bye to our wonderful wife, mother and Nana, Priscilla Joyce Pursley Hatch. She lived a quiet life but a noble and great one. Joyce was born on August 22, 1926. She lived in Arizona nearly all the years of her life. She grew up in the Safford Valley, a beloved daughter of Josephine and Buster Pursley. She was their first child, a wonderful sister to Bob, Mike and Sherry who came after her, and has been greatly loved by them. She went to college, served in the military, and had many dear friends and good times. She had a close and special connection to her parents, especially her dear mother, our Mamma Jo, and she learned from them the hard work, determination, and great faith which would become part of her life and her legacy. In Thatcher she met a young man who was coaching and teaching and began a new part of her life which would last for nearly sixty-four years. Boyd Hill Hatch was the perfect counterpart to Joyce; a man of few words with a sometimes gruff demeanor over a giant giving heart. With the polish and refinement of her gracious ways, the couple became a wonderful team. Theirs was a love for the ages. Together they raised seven children, Tony, Debbie, Brenda, Guy, Adele, Kirk and Becky. Our mother was well-read, refined and educated. The seasons of her life were devoted to her husband, home, and family. Her greatest joy and deepest affection were for her family, and each day was spent putting our needs ahead of her own. She was up early every morning and her hands were busy each day, running the house with efficiency. She made our home lovely and welcoming, she did laundry with zeal, and she went about all of her tasks with a glad heart. Mom loved music. From Andy Williams to the Beatles, she always had something playing on the radio. Joyce had a great combination of qualities that fit her for motherhood—she worked hard but she knew how to have fun, was smart and serious but could take the teasing, she was strong and resilient but amazingly gentle and kind. There was an added measure of comfort and love whenever she was about, and her serving and giving ways blessed all of our lives. She made the world a better place by being in it. The people who have known her have often commented on how kind and gracious she was, and how much love they felt emanated from her. The communities in which she lived, first Mesa and then later Snowflake and Pinedale, are filled with people who knew and loved her. As our dad worked teaching, coaching, and in construction, she backed him up and supported him always. She was the best coach’s wife, supportive through all the years of baseball and basketball, winning or losing she was always there to cheer the teams on. Later in life they moved to the cabin in Pinedale, and one of our mother’s greatest joys was to be out there amongst the tall Pines, her ivy and her honeysuckle covering the porch, a quiet place of beauty and peace in which to pass the days. They lived there for over twenty years, and for all the children and the grandchildren, it was a place to restore and renew, a place to escape the world, the comfort of coming home. They enjoyed this time together, and spent several years in temple service at the Snowflake Temple. Our mom endured so well through the many adversities and afflictions of her life. Near the end she was simply going along on sheer will, and yet she rallied through time and again, trying to stay and watch over her family. Our family has been so grateful in the last three years when our mom and dad came back to live in Mesa for the constant loving care from her daughters Adele and Debbie and son-in-law Kenny Lewis. There has been helping hands from the rest of the family, respite from Brenda and Becky coming from Utah to help, and added efforts and service from many of the grandchildren. We are grateful for the loving and gentle care of the Reflections Hospice workers, especially Jill and Amy, Lucy and Andrea, and Dr. Shirif. Mother was 89 years old when she passed away on March 30, 2016 surrounded by her family. We so dearly loved our mother and Nana. We feel blessed and honored to have had her in our lives for so long. Funeral services will be Saturday, April 9, 2016 at 2 PM, preceded by a visitation at 12:30 PM, at the LDS Linden Valley Chapel, 971 Timberland Road, Linden, AZ, just off Hwy 260. Arrangements by Bunker’s Garden Chapel. Sending lots of love and hugs to your family at this time. It is never easy saying goodbye to those so dear to us. But to know that she made a huge impact in the lives of others is such a beautiful blessing. Your mother, Nana and friend was such a beautiful woman that has left behind a great legacy.